As if there weren’t enough uses for 3D printers already, Japan is intent on keeping us in constant anticipation of the next application, and this company’s application is personal. Despite the embarrassment all children experience when their parents pull out the photo albums, parents seem only to take more pictures of their kids, and expecting parents are expecting more these days when it comes to seeing their children before they’re born. Sonograms have long been used to allow parents a glimpse of their little ones in their initial and developing days, but the presentation has been limited mostly to 2D black and white videos, and for posterity you get a print out, sometimes 3D. Enter Fasotec, a Japanese engineering firm that has partnered with Parkside Hiroo Ladies Clinic in Mintao-ku, Tokyo to deliver miniature 3D replicas of unborn babies. Essentially, the same technology is used to produce the digital model that many parents are already familiar with; an MRI procedure produces an image, which is then converted to a 3D model, but then a 3D printer pops out a sculpture of your not-yet-child. 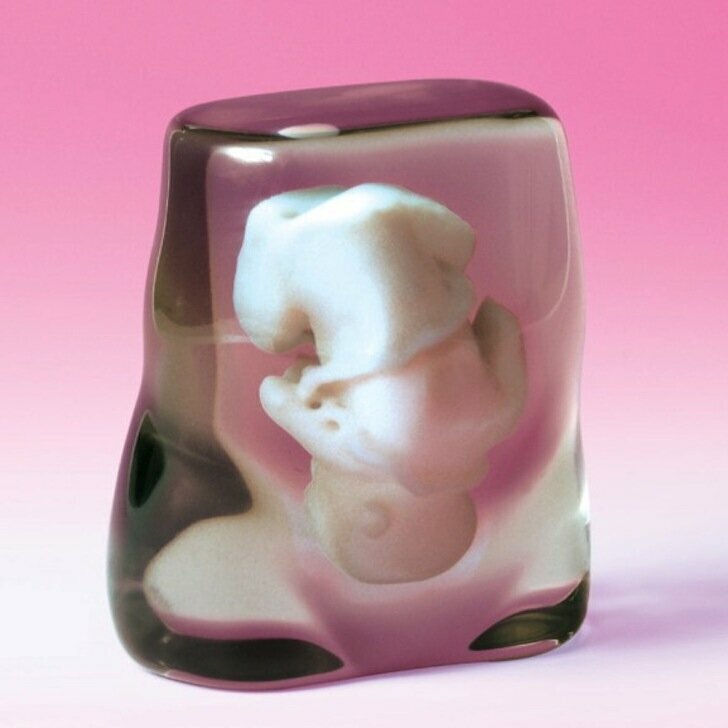 Clear resin is used to represent the womb, while white resin represents the fetus. Accordingly, the sculpture is also positioned as it is in the mother’s uterus. 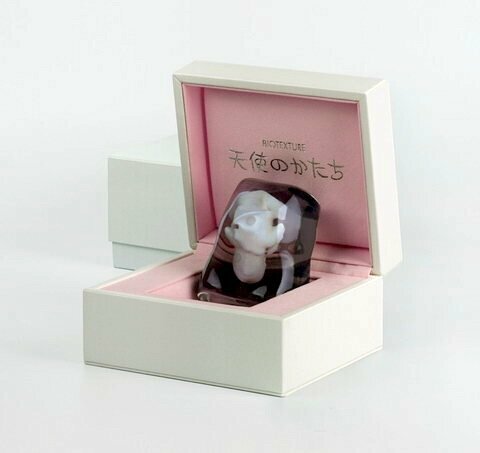 Getting your hands on a tiny (90x60x40mm) sculpture of your pre-baby will run you about ¥100,000 (around $1200), plus a trip to Japan, and comes with an elegant white jewelry box, with the strange implication that you won’t have it on constant display.